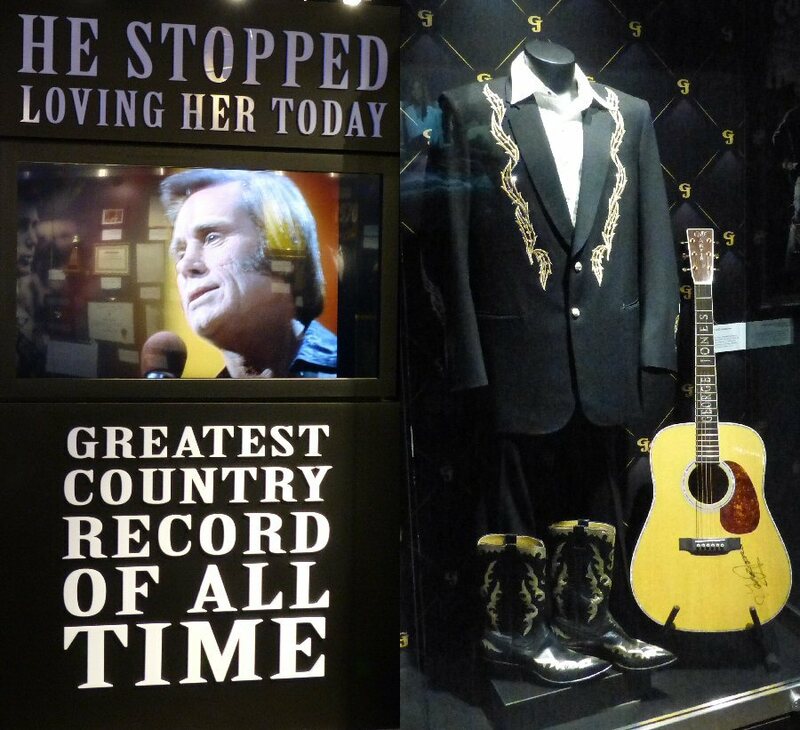 The George Jones Museum is more than a memorial to a country music icon. The multi-floor complex has a roof top bar (The George), a restaurant (Choices), a gift shop and the Museum. 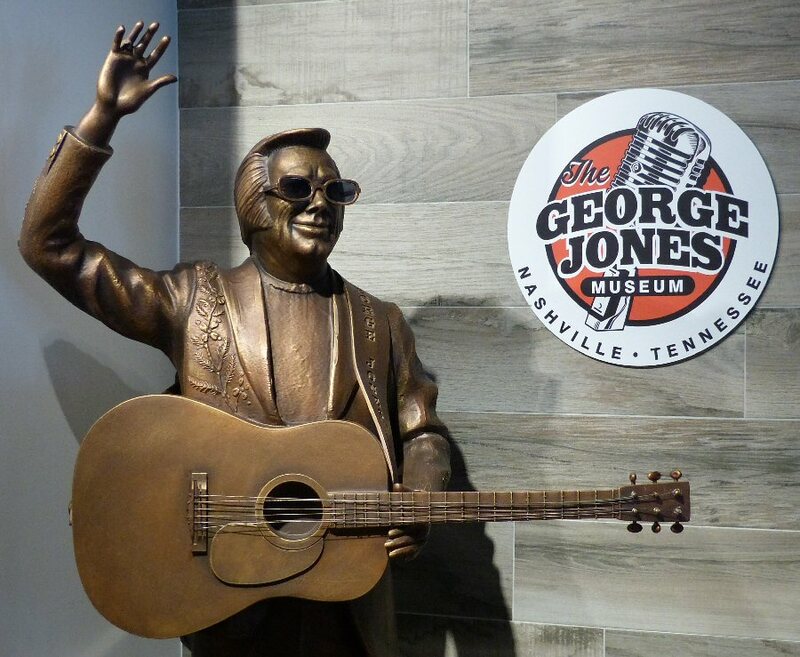 The George Jones Museum is located at 128 2nd Avenue in Nashville, Tennessee. 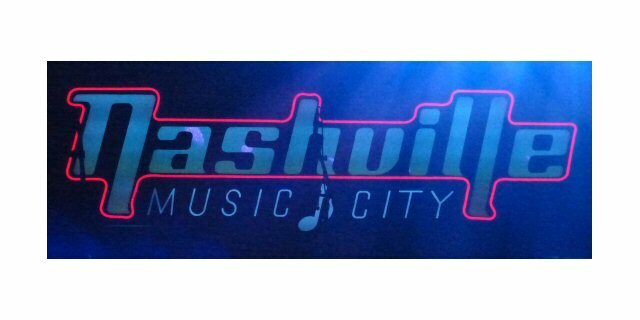 It is suitably situated in the heart of Nashville’s Honky-Tonk District. They also sell and serve the exclusive George Jones White Lightning Whiskey in honor of Jones’ song “White Lightning'”. George Jones aka “The Possum” is celebrated in Nashville. George Jones aka “The Possum” has often been called the greatest country music singer of all time. He has over 150 hits to his credit in a career that spanned over 50 years. In addition to his own chart topping tunes such as “He Stopped Loving Her Today”. George penned successful songs for many other artists including Johnny Cash. Jones was known for his distinctive delivery and phrasing. He had the ability to convey many emotions in his prose. Come get a shot – or a bottle – of “White Lightning”. Just a few of the numerous informative displays at the museum. As we walked off the elevator at the George Jones Museum on January 13, 2016 we were greeted by a wall of album covers demonstrating Mr. Jones’s impressive catalog dating back to the 1950’s. The Museum is well organized by decades. First we spotted George’s birth certificate along with old photos. Of special note is his Gene Autry guitar. It was Jones’ first instrument. As the tale goes during one of his desperate days George sold the guitar. Luckily his sister Loyce re-purchased it and returned the treasure to him when Jones was back on his feet again. The fact that George had difficulties with debt, drinking and drugs is not sugar-coated here. Jones himself even wrote a song called “No Show Jones” as he had a reputation for missing concerts due to some of these issues. It was part of George’s story which later turned out to be one of redemption. 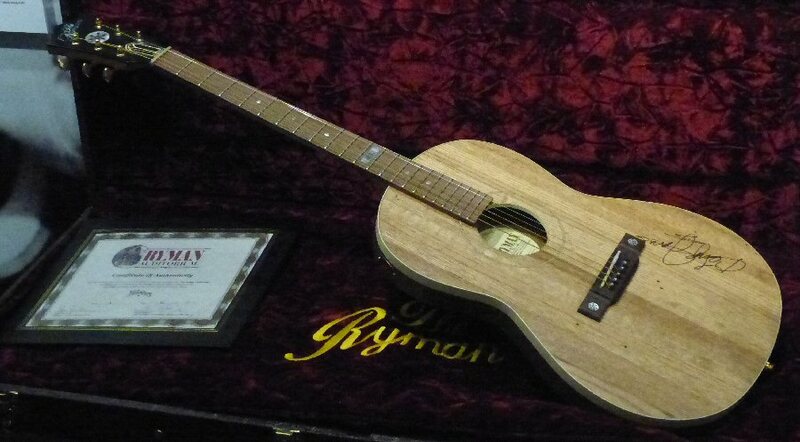 This guitar is constructed out of planks from the original Ryman Auditorium stage. 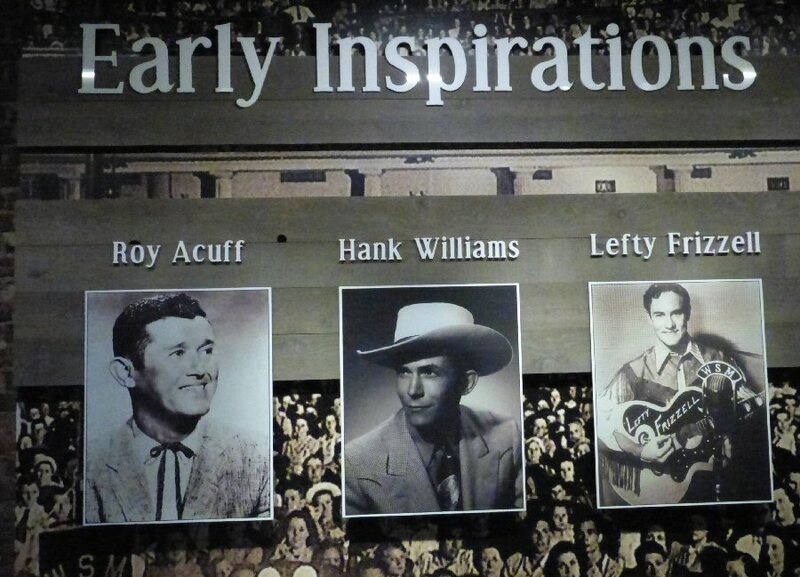 A number of other country artists are represented at the Museum including those who were friends or who influenced George such as Gene Autry and Hank Williams Senior. Programs from the Grand Ole Opry and an old time radio board were also on display since George was an Opry member and worked at a radio station. Jones was a sharp dresser throughout his life. The Museum features a number of George’s rhinestone suits with matching boots. The Museum also has Gold Records and other honors including Jones’ Grammy Lifetime Achievement Award. Some of George Jones’ earliest musical influences. There is a theater at the Museum, plus audio and videos-some interactive that added to our over-all experience at The George Jones Museum. Other items of interest were George’s white piano, personal effects and a John Deere lawn mower that involved a drinking tale. Another showcase was dedicated to his last wife Nancy who George met in 1981. Nancy was credited with helping Jones beat his addictions and rebuilt his career. The George Jones Entertainment Complex features a gift shop, a roof top bar that overlooks the Cumberland River. The Choice restaurant/bar serves an array of foods from soup to steak. The venue often features live music and the Museum is bright and expansive. It is a great place in the heart of Nashville to learn more about George Jones and enjoy a shot of moonshine if so inclined.